EquiManagement has launched Disease Du Jour, where they delve into the research and current best practices for a variety of equine health problems with industry experts. 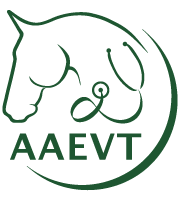 The first episode featured Dr. Steve Reed on equine herpesvirus. The new episode features Dr. Tom Riddle on breeding season procedures in mares. These are FREE podcasts that can be downloaded or listened to online!